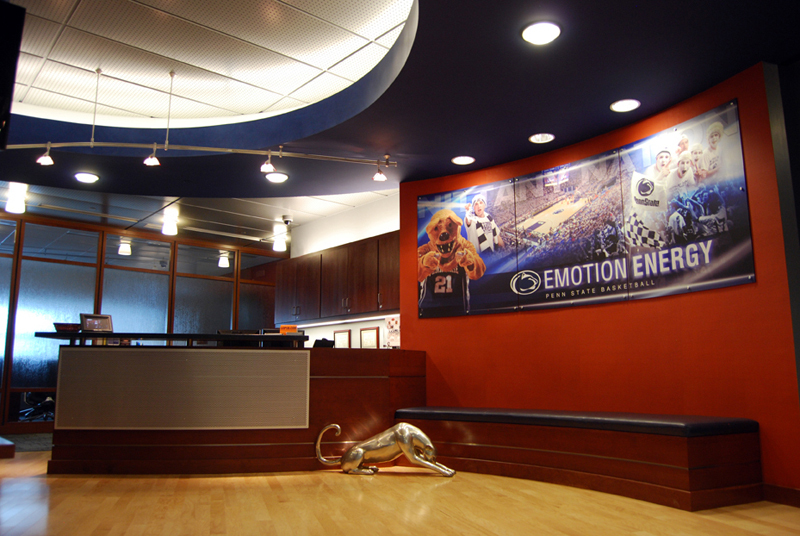 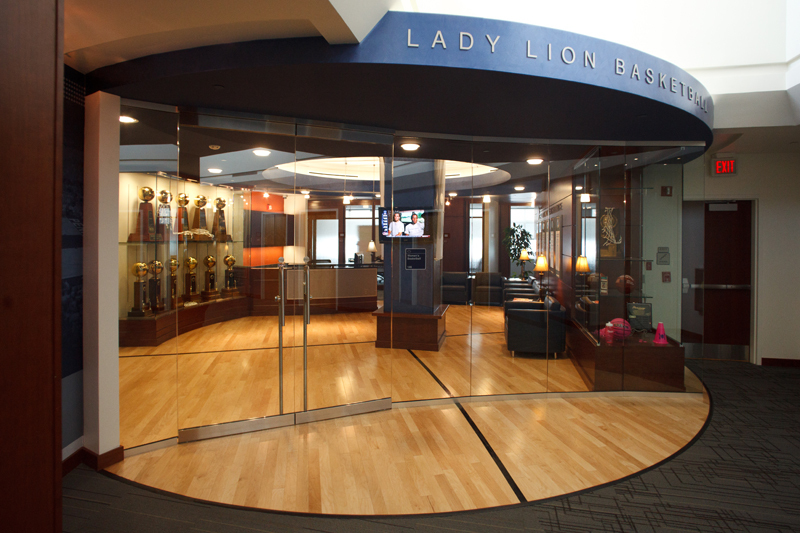 Complete interior renovation and interior design for the main administrative offices for Women and Men’s Basketball. 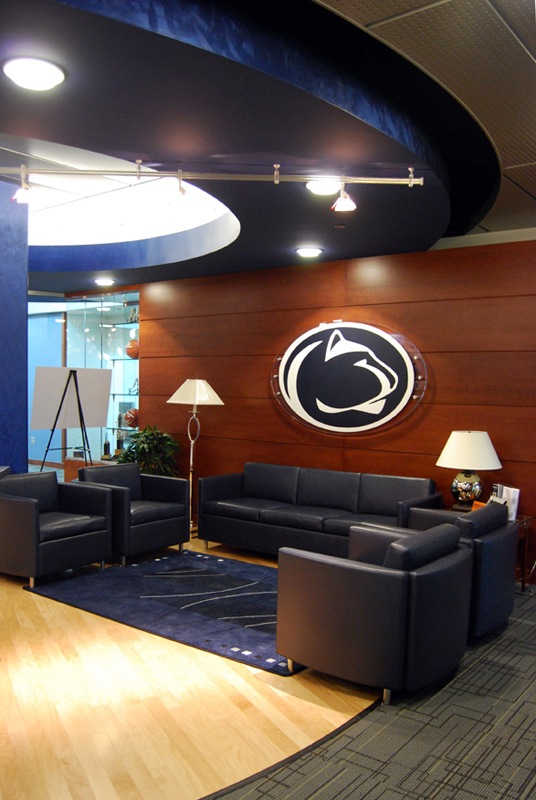 Designed in association with Moody-Nolan of Columbus, Ohio, the design provided for a new lobby and display area, large conference room and recruiting lounge, head and assistant coaches’ private area, administrative areas and technology support spaces. 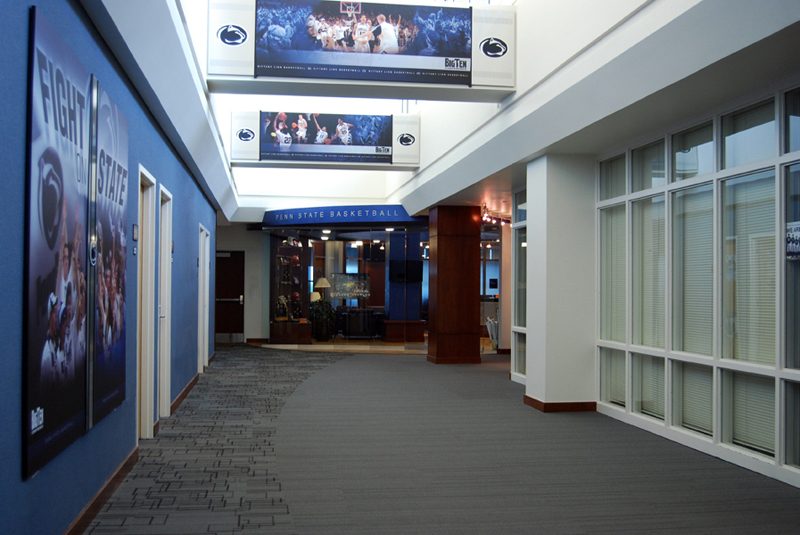 Due to locations in separate mirror image wings of the existing facility, suites were conceptually designed with near identical programs but were modified throughout the design development phases to accommodate specific needs and identities of the respective programs. 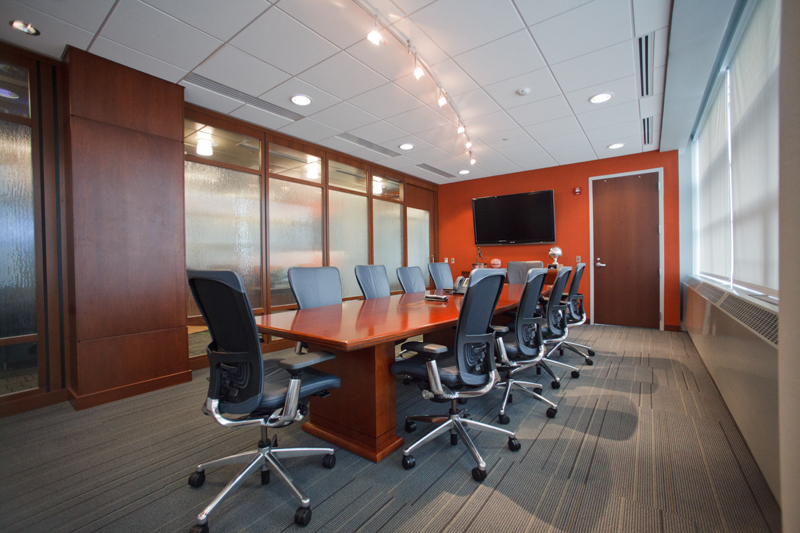 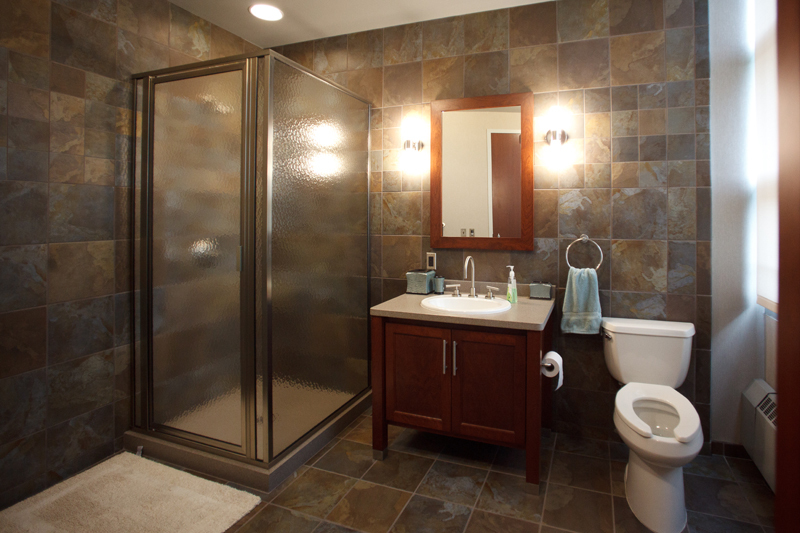 Project design and construction were completed under an aggressive, fast-track schedule utilizing a construction management method of project delivery.